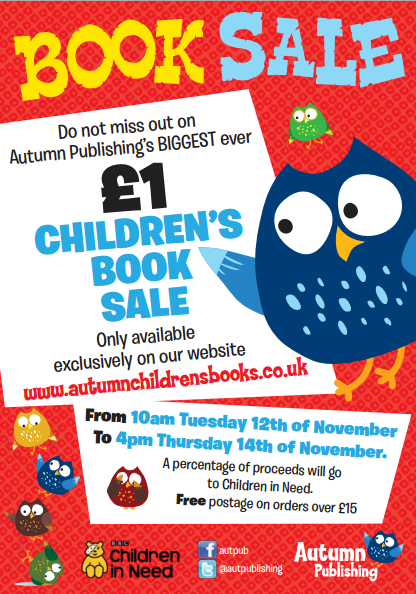 From 10am on Tuesday 12th November 2013 until 4pm on Thursday 14th November 2013 the amazing people over at Autumn Publishing will have a huge £1 children’s book sale event exclusively on their website. A select amount of children's tittles will be reduced, just in time for Christmas. You will be able to pick up some cheap stocking fillers or even buy that special child in your life that perfect gift. Not only are you helping your own pockets, you will also be raising money for Children In Need as a percentage of the proceeds will be donated to the fantastic charity that cares about children all around the UK. Last year Autumn Publishing raised over £250 and they are hoping to beat that target this year, with your help they can! 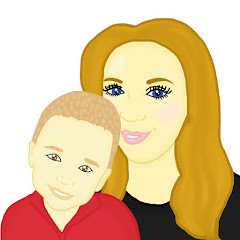 In addition to there fantastic charity efforts they are also giving Mummy To The Max readers a fantastic bundle of Christmas books that are fun for all the family to win. Personally hand picked by me I am confident these books can make your Christmas that little bit more magical. To win simply enter the rafflecopter below. Good luck!